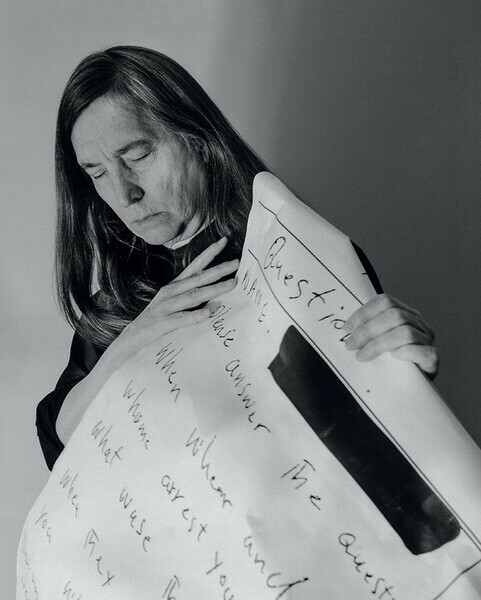 For nearly four decades, the American artist Jenny Holzer has put unexpected things into unlikely locations. She has projected verses of poetry onto the banks of the Tiber in Rome; relayed slogans across the electronic billboards in New York’s Times Square (‘Protect me from what I want,’ said one); inscribed tales of human cruelty onto human skin in ink made of blood; and in her earliest days, used everything from T-shirts to condom packets to disseminate texts all around the city. ‘Men don’t protect you anymore,’ cautioned the prophylactic boxes in 1985. 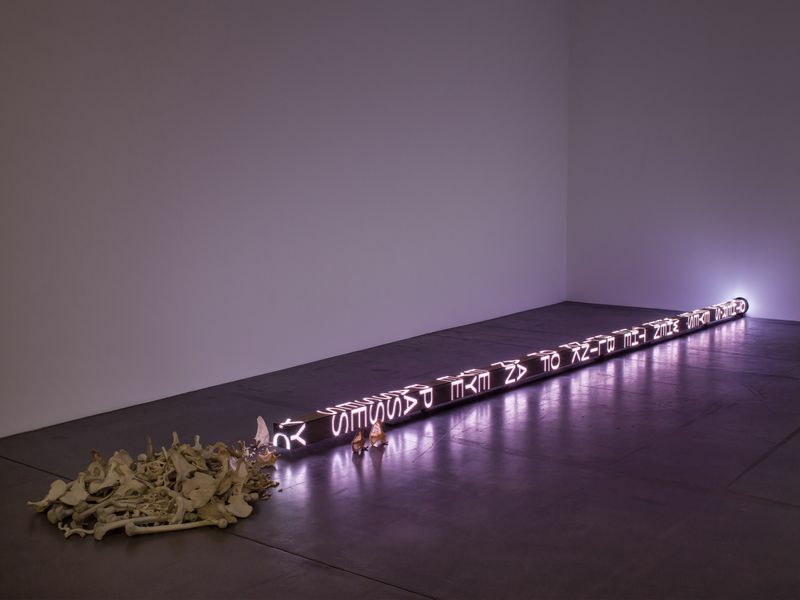 So the fact that she’s about to install a 21st century version of a medieval battering ram in Hauser & Wirth’s Zurich gallery should come as no surprise. Or that, come September, she hopes to use cutting-edge technology to overlay text onto heroic battle tapestries at Blenheim Palace in Oxfordshire, the testimonies of rather more contemporary veterans of war. She says she’s been ‘sneaking up’ on one of Britain’s stateliest of homes for a while now, the palace itself a spoil of war. (The magnificent pile was John Churchill’s reward from the nation for winning the Battle of Blenheim in 1704.) ‘I very much appreciate the exterior, the complexity and strength of the architecture, but especially the blushing quality of its walls,’ she says. ‘When I found out that the pink colour comes from iron in the stone, I thought, what a great metaphor for a military prize!’ Perhaps it put her in mind of seeping blood, too. 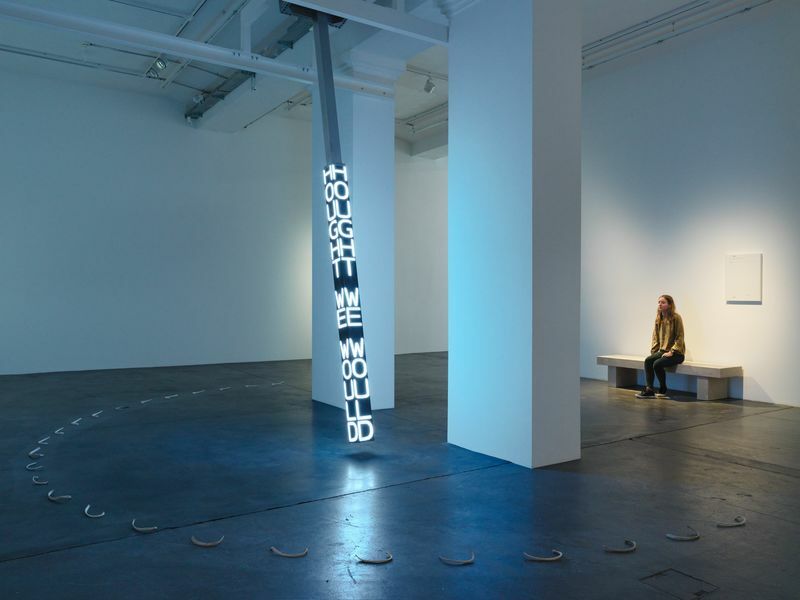 Now 66, Holzer embarked on her art career at a time when no one expected to turn a profit by following their creative dreams. She studied painting and printmaking in Chicago and Ohio, then did an MFA in painting at the Rhode Island School of Design. 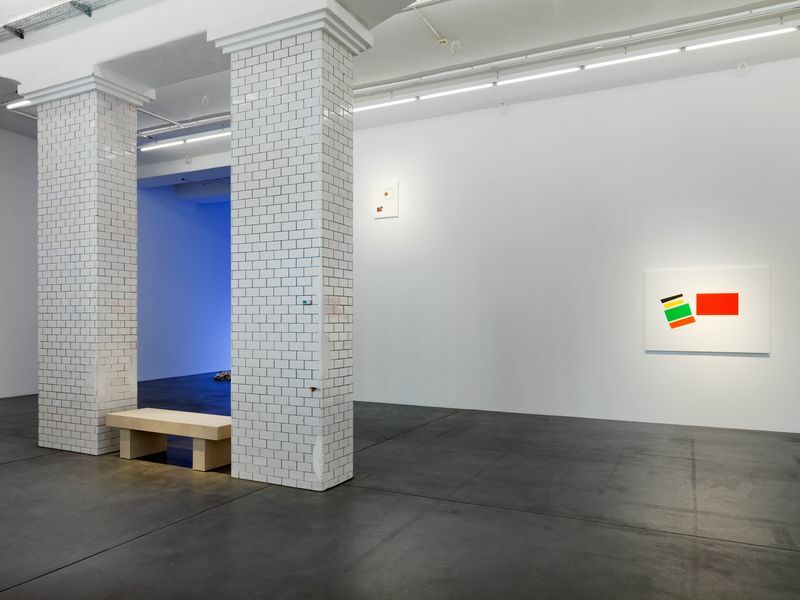 But it was her time at the Independent Study Program at New York’s Whitney Museum that introduced her to literature and philosophy, and drove her practice towards the use of pithy texts that could be inserted into the cityscape. By the late 1970s, she was printing phrases like ‘Abuse of power comes as no surprise’ in black serif type onto white stickers and pasting them on phone boxes and front doors in Lower Manhattan. She tells me about a time in Mexico City when a dust storm came up and made both the front and backs of the letters visible in the glow of the projector. ‘They were wafer thin, but I’d never seen the back of a letter, in space, travelling,’ she says. ‘That’s how I get my aesthetic thrills, with pulsing amber LED light.’ Or at least it was. 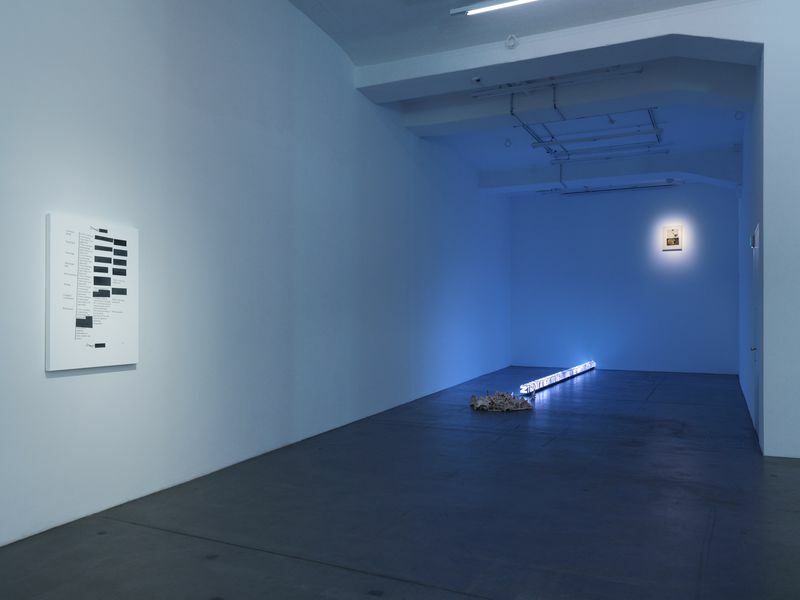 More recently, Holzer – the artist who once said it was ‘absurdly hard’ to make a good painting – has picked up a paintbrush again. Her Redaction Paintings follow the shapes formed by the large blocks of deleted words in the various documents she has found, but she renders them in oranges, blues, whites, greys and reds. The end results look, to all the world, like abstract works, and the woman who once blurted out text is now working with its elimination. 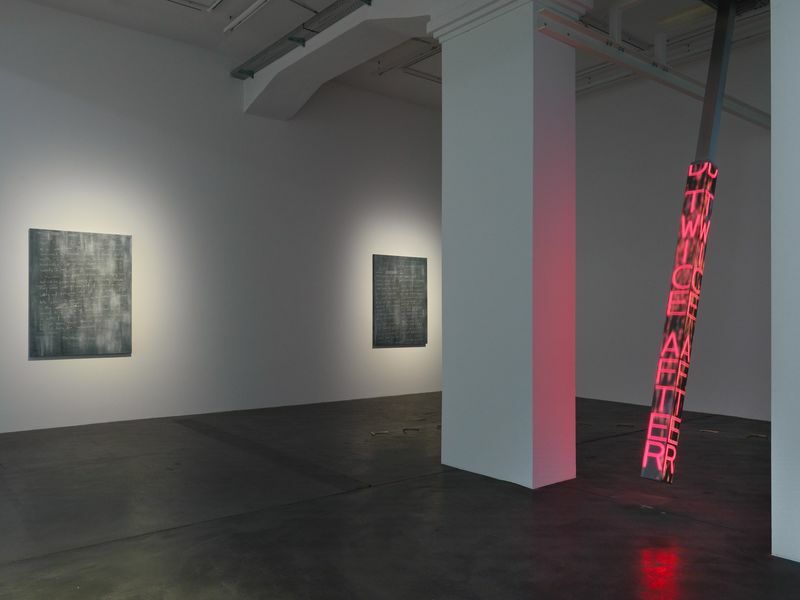 The new paintings will be seen in Zurich, but so will Holzer’s more techy side. She’s currently developing an app that will allow visitors to make their own augmented reality projections from their phones. ‘You could have a text from Save the Children, or from Anna Swir, and you could relay it onto your lover’s back, or a waterfall.’ Perhaps even those vast tapestries at Blenheim Palace – ten of them, each 15ft high – which depict John Churchill’s triumph over Louis XIV. For the opening weeks, there will also be outdoor projections in Blenheim’s grand gardens. Meanwhile, Holzer is alert to present portents of war and will be watching her new president’s progress with caution. ‘Hillary is hardworking and intelligent. If being a woman got in her way, that’s hard to take,’ she says. ‘And Trump? Well, he’s the worst result possible, for the United States, and possibly for the world.’ So, I ask, what would you put on a condom packet now? ‘Oh that’s easy,’ she says. ‘Today I’d say: ‘Republican men are even worse’. 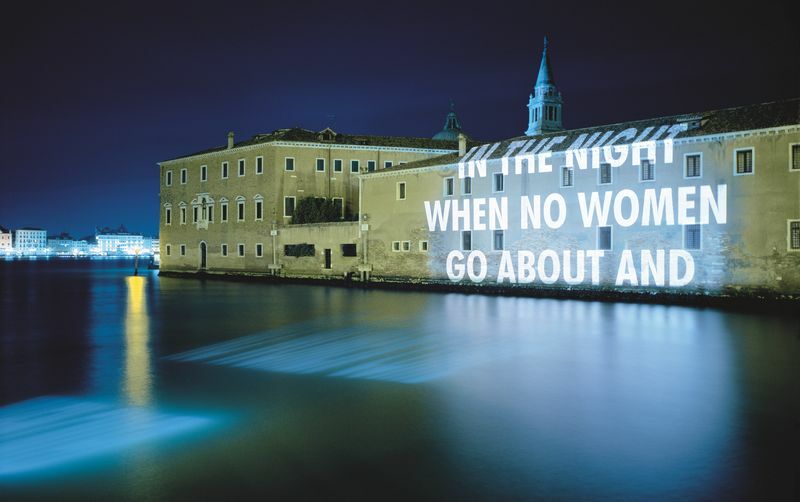 Jenny Holzer’s work will be displayed as part of ARCOmadrid from 27 February – 3 March 2019, in anticipation of Holzer’s upcoming major solo exhibition at the Guggenheim Museum Bilbao, Spain.